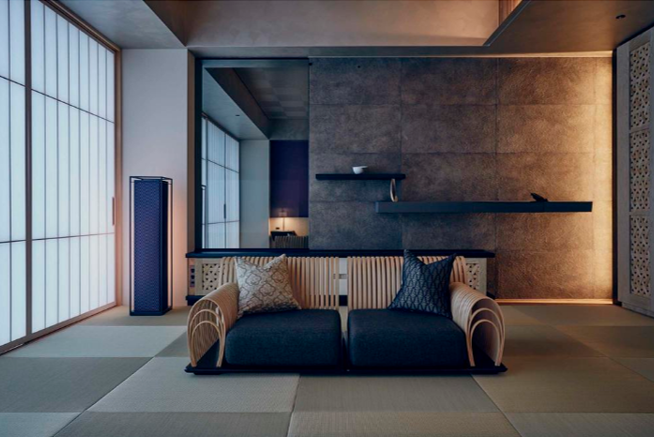 A modern take on the classic ryokan, Hoshinoya offers guests a taste of tranquillity and traditional Japanese hospitality amidst the bustling streets of Tokyo’s economic center. 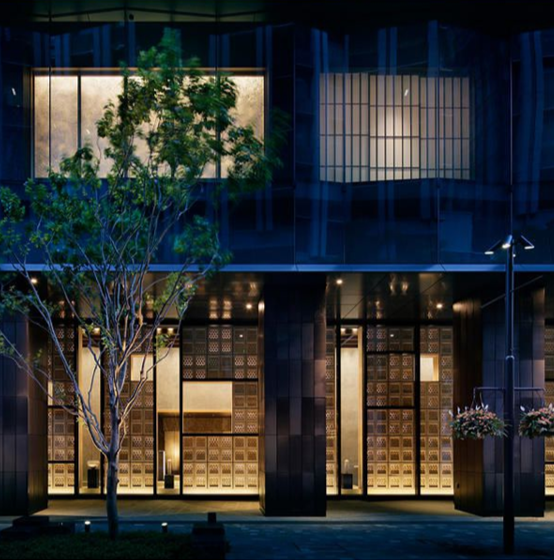 With its sleek, black latticed exterior, Hoshinoya stands almost seamlessly amidst the shiny high-rises and trendy restaurants of Tokyo’s financial heart. 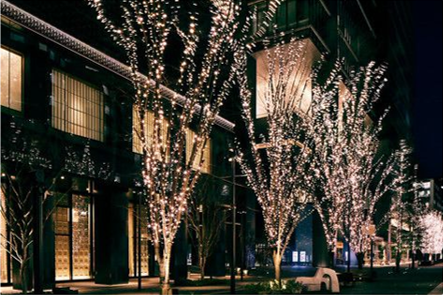 As you make your way towards the entrance you’ll pass through the property’s Zen garden, dotted with stone benches moulded into the shapes of boats and planters. 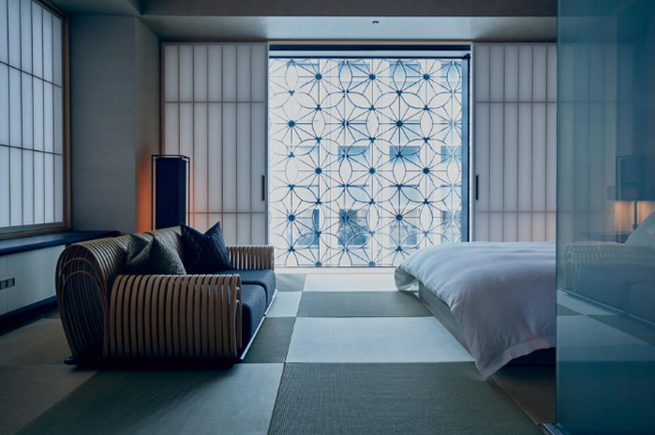 Entering through the huge, cypress door, you will be greeted by a kimono-clad guide and shown to your room through a tatami hallway lined by bamboo shoeboxes. 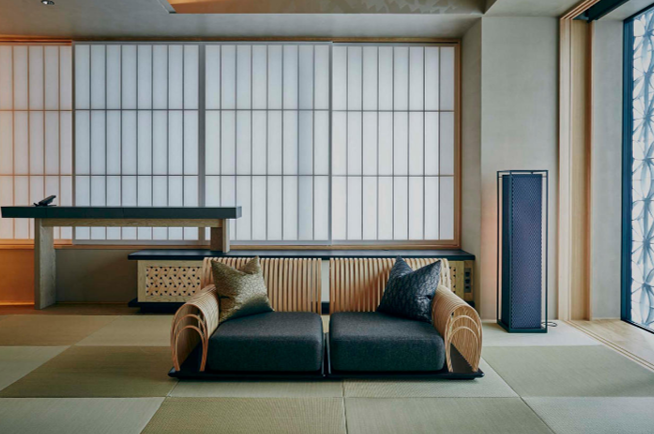 Each floor of the hotel houses within it a six-room ryokan, centred around a ochanoma (lounge) where tea and snacks are laid out throughout the day. 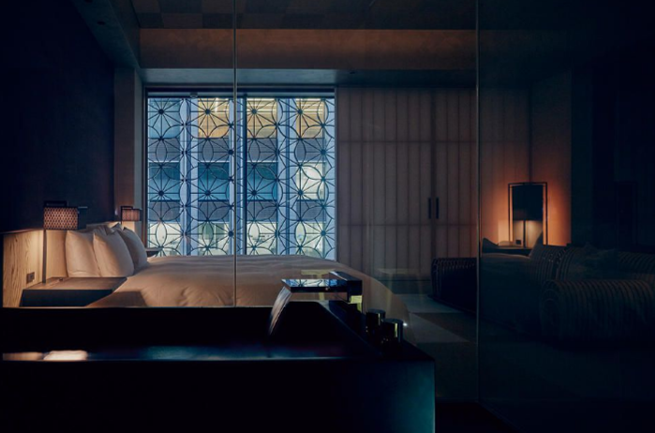 The polished guestrooms combine traditional design with contemporary furnishings, with classic Japanese lighting, tatami flooring, futons and translucent shoji screens that allow natural light to filter in. 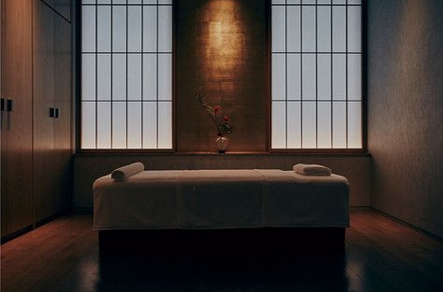 On the top floor you’ll find two communal bathtub halls. 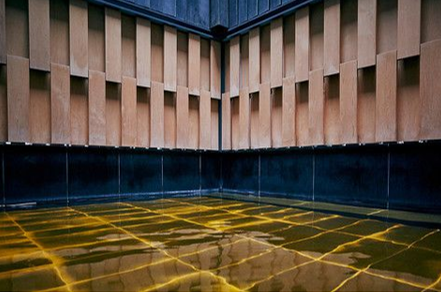 Here guests can enjoy soaking in indoor and open-air pools fed by geothermal water drawn from 1,500 meters subway.